Words and Music by Eric Steffensen. 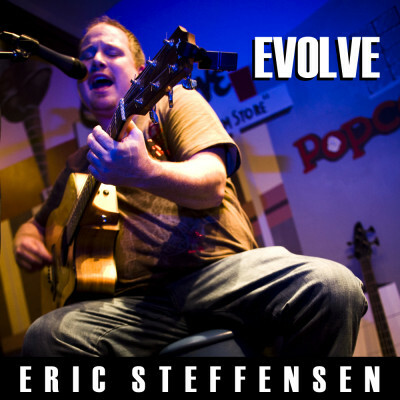 All guitars, vocals, bass and keyboards by Eric Steffensen. Drums by Brian Stephens. Mixed by Ed Unger at Blue Sound Studios, Atlanta, GA. Copyright 2004 by Eric Steffensen. Words and Music by Eric Steffensen and Pattie Radford. All guitars, vocals and bass by Eric Steffensen. Drums by Brian Stephens. Mixed by Ed Unger at Blue Sound Studios, Atlanta, GA. Copyright 2004 by Eric Steffensen. In SL, just the short time I’ve been here there have been so many supportive people, but a few really stick out: Angelica Svenska, you have been so very helpful and you have a great voice, keep singing no matter what! Sternchen Bellic from the Old Barn thank you so much giving me a chance with my first SL gig and promoting the HELL out of it, and of course Throughthesewalls Moody and your team at MUSIC NOT POLITICS for opening my eyes to the potential that Second Life has for my music and the music of many other independent artists. And of course I’d like to thank all the other supporters of indie music.